In AA, “once an alcoholic, always an alcoholic.” If I stop, am I still? The addict self-image is an incredibly destructive thing. It is disempowering because it denies your ability to change and leaves you looking instead for a way to compensate for and cope with an imagined handicap. We have shown you that the main premises of addiction are not empirically supported and in fact are contradicted by the available scientific evidence. 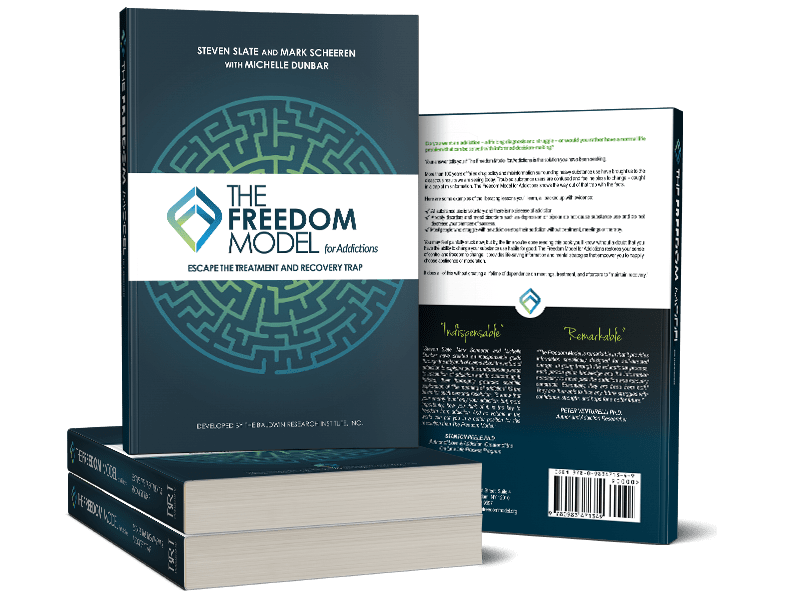 We have explained the myriad ways you may have been persuaded into taking on this addict self-image and how that has distorted your experience into one of feeling unable to change. We’ve given you a far better explanation of why you’ve been using substances problematically, with the Positive Drive Principle (PDP) and by explaining the reasons behind a strong preference for substance use. With all this, we’re aiming to show you that you are fully free to change and that any obstacles are purely mental; that is, they are matters of beliefs, thoughts, knowledge, and the like. Even if you dislike and reject the label of addict or alcoholic, you may still have a self-image that is synonymous with what these labels represent. That is, you may see yourself as being saddled with powerful urges, impulses, and cravings that you are too weak to overcome. You may see yourself as hardwired to need substances to feel normal. You may see yourself as having a genetic deficiency that causes you to crave and lose control. You may see yourself as being unable to resist temptation. You may see yourself as morally deficient in some way that causes your heavy substance use or as having personality and character traits, which cannot be changed, that always lead you back into heavy substance use or other “addictions”—an addictive personality. You may see yourself as being fundamentally incapable of being happy without heavy substance use and as needing an “escape” that only substances can provide. Worst of all, you may have no working theory on why you keep using substances problematically, yet you believe there’s something fundamentally unchangeable about you that causes it. Whether you agree with the labels of addict or alcoholic, it’s the harboring of this negative self-image that causes you to feel so discouraged. A substantial body of psychological research has demonstrated that your fundamental beliefs about yourself wield massive influence over your life. This research demonstrates that, by changing the way you think and see yourself, you can literally change who you are. At the same time, the idea that people are born with genetically predetermined personality types, character traits, levels of intelligence, and talents has been accepted by our culture. This set of beliefs casts people as unchangeable. However, in recent years, it is being challenged by researchers who’ve shown that people can and do change.